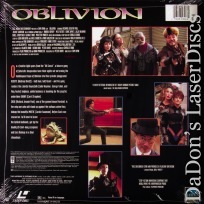 Oblivion 1994 - 94 min. 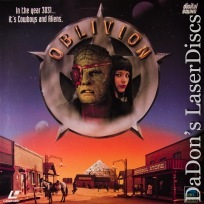 - Color Genre: Sci-Fi Rated R Country: USA LaserDisc Movie Storyline: On a futuristic frontier, a scaly villian known as Redeye has taken over the tiny town of Oblivion. The sheriff's dead, the android deputy's unplugged and the townsfolk are too yellow to stand up to the sharp-shooting lizard. 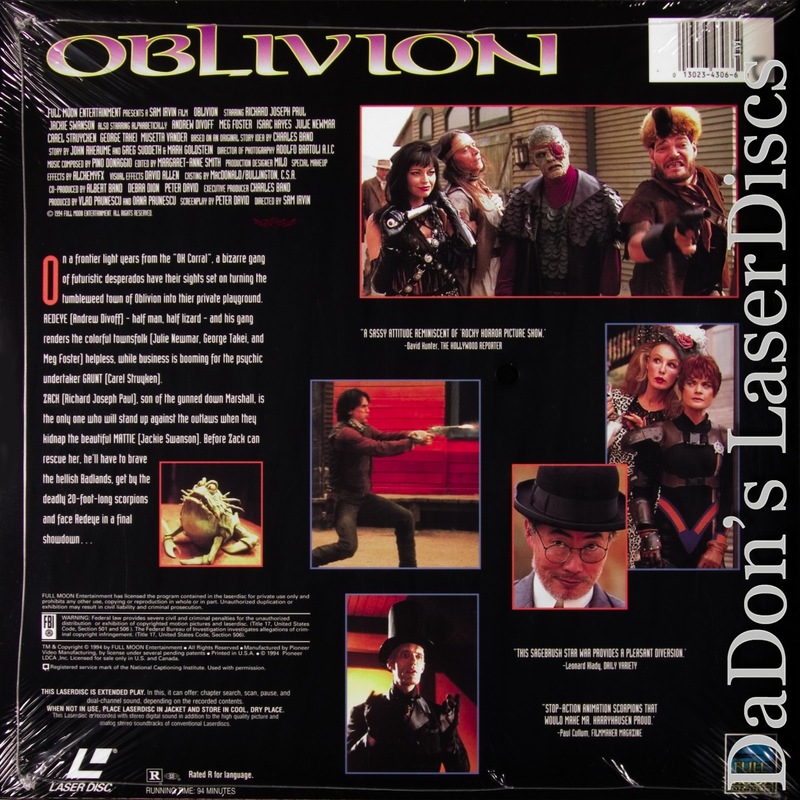 Only Zack Stone, son of the late sheriff, has the skills to defeat the deadly creature. But as an empath (one who has the psychic ability to feel others' pain), Zach has sworn off violence. Now the town's citizens, and Zach's ladylove, must convince him to be the law in this untamed borderland.